Are You Facing One of These Three Types of Manslaughter Charges? Like many states, North Carolina has a number of different manslaughter crimes that you could be charged with committing. They are serious felony charges that can carry a lengthy prison sentence. If you have been arrested and charged with manslaughter, you should take actions to defend yourself immediately —including retaining an experienced criminal defense attorney as soon as possible. One common manslaughter charge in North Carolina is voluntary manslaughter. It is different than murder charges, which includes the requirements that the killings be done with premeditation and malice. Voluntary manslaughter is an intentional killing but is done when provoked and is often referred to as a “heat of passion” crime. The provocation can cause the person to act rashly, in a sudden fit of rage, or due to extreme emotional distress. However, there is no pre-planning of the killing as is the case when someone is charged with murder. Manslaughter is a Class D felony. If you are convicted, you face a prison sentence of between 51 and 64 months in prison and must be sentenced to a mandatory minimum of 51 months in prison. What Is the Difference Between Involuntary and Voluntary Manslaughter Charges? The main difference between involuntary and voluntary manslaughter charges in North Carolina is the intent of the person charged with committing the crime. To be charged with voluntary manslaughter, the person must have intended to kill the victim. With involuntary manslaughter, the killing was caused by reckless or negligent actions. The elements of this crime are that a person kills another human being by an unlawful act that is not a felony and is not normally dangerous to a person’s life or by a culpably negligent act or omission. Involuntary manslaughter is a Class F felony, and the sentence could include up to 20 years in prison, with a minimum sentence of 13 months. The judge can also assess a hefty fine. Misdemeanor. A misdemeanor offense is a Class A1 offense that carries a sentence of up to 150 days in jail and a fine to be set by the judge. Felony. Vehicular manslaughter can be charged as a Class D felony. A conviction can result in a prison sentence of 38 to 120 months and a fine to be determined by the judge. Aggravated felony. 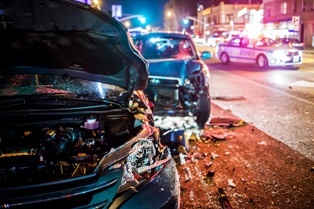 If a person has been convicted of DWI in the past, the charge could be aggravated felony death by vehicle, which is also a Class D felony. The penalties include a sentence of 64 to 160 months and a fine—also decided by the judge. If you are facing any type of manslaughter charge, your freedom and future are at stake. You cannot afford to try to handle these very serious charges on your own. Even if you believe that you are guilty, you could have constitutional, procedural, and other defenses to the crime that you are charged with committing. Raising an aggressive defense may result in the charges being dismissed or reduced to a lesser offense. The experienced criminal defense attorneys at Browning & Long, PLLC, have had years of experience fighting for the rights of our clients charged with committing manslaughter and other criminal charges. To learn how we can help you, start an online chat to schedule your free, no-obligation consultation.